Kelly Danielle McGowan, CISR Elite, Executive Commercial Lines CSR for NBT-Mang Insurance Agency of New York. How many times have you heard someone in our industry say: “I had no intention or desire to enter the insurance business, but 15 years later, here I am”? That may be true of you—and it’s definitely true for Kelly McGowan, CISR Elite, the 2016 winner of The National Alliance for Insurance Education & Research Outstanding CSR of the Year Award. Born and brought up in a small town in upstate New York, Kelly earned an associate’s degree in applied science with emphasis in marketing and sales at the State University of New York-Broome Community College. She received a Bachelor of Science degree in management from SUNY-Empire State College. After graduation, Kelly wanted to pursue a career in law enforcement or the legal profession, both of which would have required more formal education. In the meantime, like most new graduates, she faced the reality of having to support herself and pay the bills. She accepted a position at a local State Farm agency and began to learn the insurance business by servicing personal lines clients. 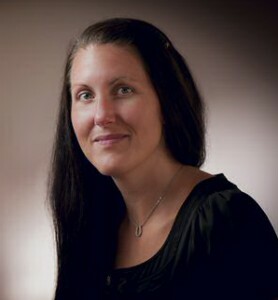 From there she moved to an independent agency, and she subsequently joined the Norwich, New York, corporate office of her current employer, NBT-Mang Insurance Agency, where she serves as a commercial lines account representative. Of her 15-year insurance career, 11 years have been with Mang. An all-lines agency, Mang has more than 20 offices throughout Central and Northern New York and in Burlington, Vermont. In the early days with Mang, Kelly experienced the usual anxieties: “What if I don’t write this account properly?” “What if a client has a claim and it’s not covered?” Today, she approaches her job with confidence, having served the agency’s commercial clients since 2008. What does Kelly find most rewarding about her job? Kelly with Service Manager and nominator Angela R. Mattice. She identifies her third reason as opportunity. “Learning about our clients and their needs presents us with more than just a chance to hold a dialogue,” she wrote. 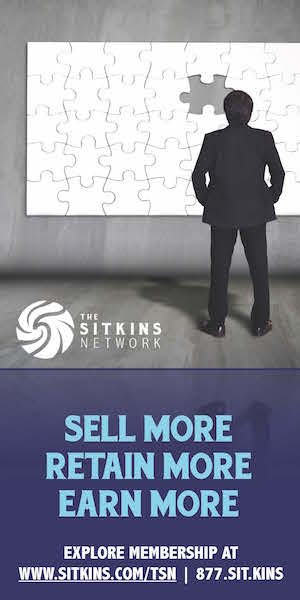 “Insurance is filled with opportunities to better oneself, to grow exponentially. 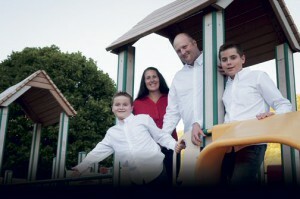 … The first opportunity I had was to become a licensed insurance agent. In taking this step, I inadvertently stoked the fire for learning that I have deep inside, and I can keep that fire going every day through numerous opportunities.” As proof, once Kelly had completed the six courses required for the Certified Insurance Service Representative (CISR) designation granted by The National Alliance, she went on to complete three additional courses, and last November received the prestigious CISR Elite designation. 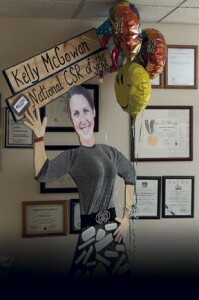 “Plywood Kelly”, the work of a co-worker, showed up as a surprise in Kelly’s office soon after the National Alliance made their selection. Kelly enjoys family time with sons Killian (left), Aydyn (right), and husband Dan. Old-fashioned Sunday drives are popular with Kelly’s family, and they also enjoy traveling and going on cruises. At home, they like to play board games and play practical jokes on each other, she says. “My kids delight in jumping out of random places and scaring me,” she says with a chuckle. Going above and beyond is a daily routine for Kelly McGowan, this year’s proud winner of the National Outstanding CISR of the Year award, who proves every day that she deserves the honor she was so surprised to receive. 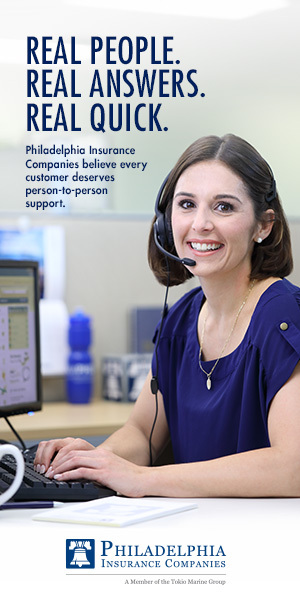 For information about the Outstanding Customer Service Representative of the Year Award, go to www.TheNationalAlliance.com. 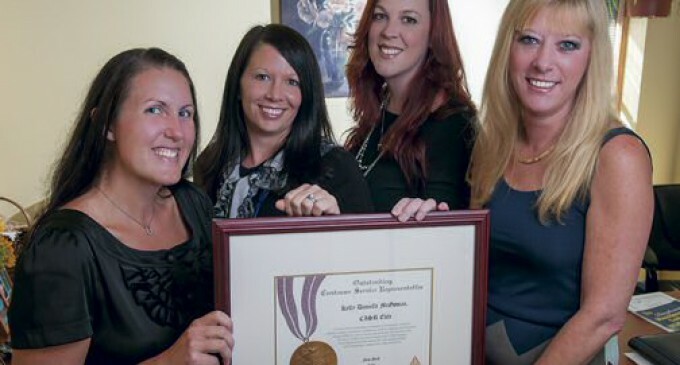 Every year since 1991, The National Alliance for Insurance Education & Research has presented to a qualified candidate the Outstanding Customer Service Representative Award. Entries from 36 states are narrowed down to five finalists, who must participate in an interview and write an essay on an assigned topic. The national winner receives $2,000 in cash and a gold and diamond lapel pin, and will have his or her name inscribed on a sculpture that is housed at The National Alliance headquarters in Austin, Texas. In addition, the winner’s employer will receive a scholarship for attendance at any National Alliance program, and the nominator will receive $1,000.